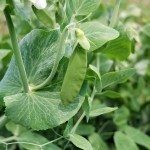 We have 8-10 individual plants growing up chicken wire and several have leaves turning pale green to straw colour, including the pods. In addition, some pods are curling on the flat side to a 'U' shape. Could this be a fertiliser issue or pest attack? The plants have had some Yates Thrive plus though not for 2 weeks. They are watered daily. Many thanks for any suggestions!